What is your opinion on human cloning? Have you ever thought about having another identical self? Not only the surface but genetically identical? To certain extent, many would feel leery even thinking about it. Then what are your opinions on animal cloning of animals? Unlike human cloning, there seems to be distinct split opinions between different countries. Some countries suggest a positive perspective toward the idea of cloning animals for meat productions. In 2008, FDA has ultimately concluded that meat from cloned animals and offspring of clones are safe to be consumed by consumers. They added that it is as safe as those foods from conventionally bred animals. Since then, products of cloned animals, which include cow, goat and pig, are allowed to be sold in the market without any labelling that differentiate cloned animals from conventionally bred ones. How did this issue on cloned animals arise in the first place? The history of cloning started with a female domestic sheep named Dolly in Scotland in 1996. Cloning of animals is a technique that involves use of adult somatic cell by replacing the nucleus of unfertilized ovum to nucleus of the somatic cell and produces an embryo. After its first introduction from Scotland, cloning of animals has been studied and practiced ever since. Ironically, in 8th of September 2015, the European Parliament voted to ban animal cloning completely including all farm animals, their descendants, and products derived from them that include imported products into the Europe. With issues regarding animal welfare and ethical considerations, the European Parliament has decided to fully ban the practice of cloning animals. In addition, despite FDA’s claim that cloned animals are safe to consume by human, there are several concerns associated with consumption of cloned animals. 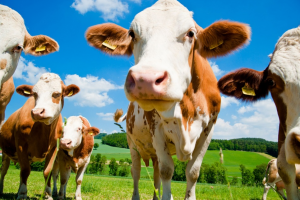 Cloned animals tend to have problem delivering live young and produce lameness and in order to overcome this issue, they are treated with hormones and antibiotics. With consumption of these heavily dosed cloned animals, number of health risk may arise such as allergenicity, development of antimicrobial resistant microbes, toxicity, carcinogenicity and much more. To add to this notion, European Food Safety Authority has stated that there are still uncertainties in the risk from the lack of studies and evidence available for information on safety of cloned animals except cattles and pigs. Wi th two very different opinions toward consumption of animals from North America and Europe, it is hard to choose which studies are true. The controversy of having cloned animals for meat production and other consumption is still unresolved as no one possess enough evidence to fully back up their opinions. How do you feel about animal cloning now? Did this persuade to change your mind to be against cloned animals or not? I’m not necessarily against animal cloning but I wouldn’t want to eat meat from cloned animals. It is still so strange for me cause it just seems like it’s not real meat. Plus, we don’t even know what illness it can cause and what other side effects are there. It might potentially be a good idea in the future when earth’s population increased significantly and there’s less food source but I think that they should only do that once they’re certain that cloned meats are perfectly safe and if they can process it with less additives and hormones. What is the primary purspose of cloning animals? I think that it shouldn’t be done unless there is a great benefit that outweighs the risk of having adverse consequences to human health (if they are for consumption).. I wouldn’t eat meat and any products from cloned animals, just because of the uncertainty that goes along with it. That was a very thought-provoking article! I agree with the above comment, that I wouldn’t want to eat meat from cloned animals because of the uncertainty of whether consuming it might lead to health consequences. I believe that there should many more studies to determine if the consumption of this kind of product is really safe, so that we can form a more informed opinion about this issue. It seems like there are a lot of ethical and safety issues that need to be explored further in this case. This is a very interesting article though, and with ever increasing technology it makes me wonder about what food production will be like in the future. I know there are things like lab grown burgers being developed. However, I think cost would be a huge consideration, as I imagine the lab techniques could be quite expensive. I support Europe’s decision to completely ban cloning of farm animals for meat consumption. There needs to be more research studies, i.e. randomized control trials, on the potential complications. Furthermore, there are an increasing number of studies, which indicate a strong association between food choices and human health. Aside from the nutrients in the meat, microRNAs, which are non-protein-coding RNAs, are present in animal tissues. From my FNH 451 research project last year, several articles have claimed that specific microRNAs may be correlated with altering the gene expression of certain regulatory proteins, which will affect disease development in humans. Hence, frequent consumption of cloned foods with certain levels of microRNAs may potentially and negatively expose individuals to the progression of particular diseases. It is a interesting post! I never know that cloned animals for meat consumption is allowed in North America. For me the meat from cloned animals is like those GMO products we have in the market now. I do not know if they are safe or unsafe, since it is still a debatable issue in food industry, but it has to be clearly labelled on the food products to let the customers know. The meat from cloned animals sold in the market without any labelling that differentiate cloned animals from conventionally bred ones is not acceptable for me. As mentioned in the post, they are treated with hormones and antibiotics, so by consuming the meat it may cause antimicrobial resistance, toxicity, and carcinogenicity for the consumers. With that many potential dangers, it should be labelled “cloned animal” to notify customers that consumption of the meat may take some level of risk, since the research is still ongoing. This is such an interesting post. I never thought that animal cloning could be applied in food production. I am pretty sure that this idea will not be acceptable by the majority as there are many ethical and safety aspects to be considered. Firstly, cloning an animal requires complicated genetic modification procedures and as far as I have known, there is a potential for mutation and/or unstable consequences leading to that. Also, there are not many scientific evidences that have proven the safety aspects of the consumption of cloned animals and the side effects of consuming cloned animals are still fairly unknown. Therefore, more research should be done on the safety aspects on the consumption of the cloned animals before authorizing this practice. I personally don’t think there is much benefit in cloning animals for meat consumption, considering that it involves very complicated procedures, but I do not disagree with it. For meat production, it should be better to just clone a specific tissue (Tissue culture engineering), it is much more efficient than cloning the whole body to just kill it after. Cultured meat has a great potential to improve the nutritional quality and safety of the product, since it can be manipulated in vitro. Also, there is no need to kill animals. Wow! I can’t believe that the meat sold in North American supermarkets now could be from a cloned animal. Since this was FDA approved back in 2008, there must be an exponential number of offspring from breeding of the original clones. Who knows how much of the meat nowadays are from a cloned animal? I think cloning is a major scientific field of research and this concept can potentially solve the food scarcity issues; however, there is concern due to the lack of scientific studies and evidence. There could be dangers of consuming cloned meat that we are yet to be aware of. Although the concept of cloning is controversial, it is also innovative. With more research and evidence in this field to confirm its safety, I believe cloning could give rise to solutions for many food-related issues in the future. Interesting topic! Cloning animals, like all the genetically modified food commodities in the market, are of great concern currently. I believe there are certainly benefits of using the gene techniques such as keeping the beneficial traits while reducing the possibility of the bad traits to produce animals and plants that would bring more health and economic benefits to human being. In this way our food products would be cheaper and more affordable for the general population. However, there are definitely lots of concerns regarding genetically engineered products, too. Although FDA has claimed that meat from cloned animals and offspring of clones are safe to be consumed by consumers; that genetically modified salmon is as safe to eat as non-GE salmon (http://www.fda.gov/ForConsumers/ConsumerUpdates/ucm472487.htm), there might still be some undiscovered adverse health effect that we don’t know yet.